Ralph, Karen, Ann and I took a drive over to Kelmarsh Hall today for an update chat with Jill, who’s co-ordinating our event. It was an excellent meeting, and we got a lot of the nitty-gritty discussed and sorted. Then, it was onto market Harborough for a bit of retail therapy followed by lunch at Pizza Express. We then headed home, using the afternoon to discuss roles, responsibilities for the wedding and the look & feel of the booklet that everyone will get as a keep-sake. Only 350 days to go! We're a lot happier now that the catering arrangements are in good hands. It's allowed us to look at the food/drink in a different light and in more detail. As a result, we've decided to source the Port and Champagne ourselves - as it's a good time of year to go looking! 6.00pm. Mission accomplished - all we need now is somewhere to store it all until December 14th 2011! Emma at Portfolio Events got back more-or-less immediately with answers to our initial questions. This is good news and has allowed us to begin to finalise the food and related bits-and-pieces. We have another meeting with them on the 29th January that includes a tasting session sampling all the courses - yum yum! This is all coming together really well - we feel in very safe and competent hands with Emma. Subject to a few final 'tweaks', we've selected the Caterers for the Wedding. We settled on Portfolio. Emma (our contact there) has been superb, and although there isn't much in it, in terms of cost between them and our next choice, overall, they are far more flexible and offer a better value package. We're going to have a more detailed meeting with them either towards the end of this year, or early in 2011. I read this in the Daily telegraph, so it must be true!!! I’ve added a countdown timer to Ann’s new domain. OK, the official announcement has gone to all our invited friends via their Christmas Cards - they should receive those on Monday/Tuesday. I've therefore changed this Blog's status from private to public - so any one who's remotely interested can follow the journey to our big day! We travelled the short distance to Lamport this morning to visit caterer number 3 – Portfolio Events, to see what they have to offer. We met Emma, who was totally switched on, very organised and gave us a really good feel for what they can provide. Based on all of this, our gut-feeling is that this is the company we’ll use, but let’s see how the prices stack up against the other two caterers! I just spoke to Yvonne (very helpful!) at Northampton Registration Office. We’ve confirmed the time of the ceremony as 4pm. We saw the second caterer ‘Cloverdale’ a month-or-so back and were very impressed with their menu options. The email we had back quoted a price of 35 pounds-per-person for the food - and that sounded pretty reasonable. But, as they say, the ‘devil’s in the detail’ – and it certainly is in our case, as the price, we discovered yesterday, doesn’t include ANY cutlery, crockery or tableware. This is a major blow as we’d put them top of our list. We’ll need to go back to the list that Kelmarsh Hall gave us for their preferred list of caterers. Ah well, onwards and upwards, as they say. We popped down to Cloverdale Catering in Finedon tonight. They were pretty impressive with 20+ years experience, and Glenda, the owner, was very switched-on. We liked her a lot and have given her all the details of our ideas for the wedding breakfast. It’s now just a case of waiting for the quotation, but we’re pretty sure they’ll be significantly cheaper than the first Caterers we visited a few weeks’ back. After our visit to Lemon Zest on our way down to Bognor last Friday, their quotation arrived yesterday. It’s very thorough and seems to have taken into account all that we asked for. The cost is either 5.7k and 7.3k – the cheaper option is if WE supply the drinks. We’re obviously not going to make a decision until we’ve seen the other two caterers, but it just feels a tad on the expensive side. We’re going to put together a light-hearted quiz (about us), as part of the ‘info-pack’ that each guest gets. We’ll ask those attending to fill it in and hand it back to the Best Man (cheers Ralph!) – and we’ll score them whilst we’re away - and then send the winners a prize. We’ve narrowed down the Caterers to two, possibly three, and today we’re visiting the first one – Lemon Zest in Brackley. OK, I couldn’t wait! Ann’s email is now setup using her new name (not that anyone knows it yet! ), and her shiny new web-site, AnnPalmer.co.uk should be showing (just) a blank pink page, so we don’t give anything away. Once we’ve announced the wedding date to everyone (via a note in their Christmas cards), I’ll add a cool countdown timer to Ann’s home-page, and change this blog from PRIVATE to PUBLIC (so anyone can view it without needing to sign-in). Whoops! I nearly forgot to get this sorted! it would have been just my luck, that another Ann Palmer would have already registered this domain. Great!! !, it’s available, so I’ve got it registered today with 1 and 1. I’ll switch over the Ann GAMBLES web-site and sort out the email configuration after our big day!!! David has agreed to sing at our wedding – providing we can find the right toon. I think it’s likely to be more, ‘West Side Story’ than ‘Status Quo’! Ann had the idea that it might be a nice touch to also ask Rosi, as she also sings in a choir – maybe a duet then? We took a trip over to Market Harborough tonight to meet up with Nigel Ord-Smith, wedding photographer. Jo & Janet used him for their civil ceremony - and Kelmarsh Hall had him on their approved list too. What we liked about him was his relaxed manner and the creative side to his work. Take a look at his Galleries HERE. He also does a nice line in Wedding Albums too – very different from the norm! Having spent about an hour-and-a-half with him, looking at a full range of his past work, we’re certain that he’ll be a great choice for our special day. ...I’m not going to look at it anymore because based on this, and with around 440ish days still to go, we’ll be up to 700 by December 2011! My first foray into creating the table plan for the Wedding today! To say it was ‘tricky’ would be an understatement – I hadn’t realise how complex the task would be! Seating friends together, keeping certain people apart and making it all fit into the space certainly stimulated the grey-matter. Fortunately, I cheated (slightly) by using a piece of software that takes a lot of the strain out of the task! it’s called Perfect Table Plan and it does exactly what it says on the tin – and some! - Now fine-tune it manually if you wish for the perfect result! Once you are happy with your plan, you have the option of printing table-cards, table plans, guests lists by table and/or name – cool!!! We’ve had another look at the guest list… and another look… and another look! Finally, we’ve agreed that it’ll be 91 guests plus us two. Phew! Deciding who to include, and who not to, was a lot harder than we thought!!!! We’ve also re-thought the idea of Ushers – and we think that we WILL probably have some - to assist the Best Man and the Toast-Master and make their life a lot easier! Now we just need to decide who! I sent an email to the photographer - Nigel - today. He did Jo and Janet's event and the pictures were superb!! Today, the phoning began – I rang round the rest of family to break the news. Mum: speechless and emotional in equal measure. Said she had a sudden premonition an hour earlier where I ‘suddenly came into her mind’ – spooky!!! 19:57. Denis rang to let me know he’d received my letter seeking permission to marry Ann. He was clearly in a slight state of shock! Initially speechless, when he did manage to get the words out, he said he was delighted and the answer was, of course, ‘yes’ – Mae couldn’t stop talking!!! Well, that’s the first box ticked!! It pays to plan ahead! I rang the two preferred Caterers today to try and set up a meeting to go through the details. Our preference was to meet them on a Saturday, but I guess for obvious reasons, that day is out because – you guessed it – they’re doing Weddings!! So, it looks as if it’ll have to be a weekday, towards the end of the day - and because of our busy diaries, trying to find a date that suits them and us is going to be tricky. Lucky the wedding is in 2011 and not 2010 then!!! We’ve now had sample menus in from a number of local caterers. As expected, prices vary, and so does the range of food on offer. One supplier has so much small print to read before we proceed that it may take until the wedding to get through it all! We probably won’t use them simply because of that!! So, in the next few weeks we’ll be taking a trip to those that are left and making the decision. I sent Denis the letter this morning asking permission to marry Ann – the thud you’ll hear, will be his jaw hitting the floor! I plan to write to Denis this week to ask his permission to marry Ann. I suppose I don’t have to, but it feels like the right thing to do. We’re going to send out a note to all invitees in their Christmas Cards this year. They’ll all get the formal invitation nearer the time, but this is an opportunity to let everyone know, so they can put it in their diary. It’s in the shared folder named invite_1.doc HERE. We spent this evening reviewing various catering websites and have sent a few emails out for quotations and sample menus. We've also started to price it all up - eeek! :) ..and we haven't really started yet!!!! We've received a few options regarding 'toastmasters'. Ann has emailed Mike Jacobs - his website is HERE - for a quote. He looks (and more importantly, sounds) really competent. Assuming that the price is right, we'll probably go with him. Update: We had a reply overnight - Mike can do the date and because it's a weekday, it's a lot cheaper - £300. We've said: 'yes please!'. 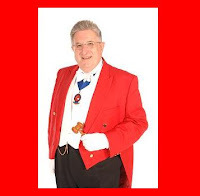 Kelmarsh have sent us two choices for a Magician. One is James Docherty, the other is Will Gray. Based on their web-sites, Will looks the better choice, but is probably more expensive. I’ve sent them both an email today. Update: We got a quick reply back - very professional - prices are around £350 for a two-hour stint. Jill, from Kelmarsh emailed us this afternoon to confirm that they will reduce the price of the event, because we don't need the evening reception part of the package. They've also given us a number of Magicians to contact (magic!!) as well as a choice of MCs. 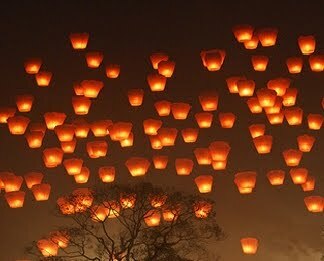 They've also confirmed a couple of suppliers for the fireworks and sky lanterns. It looks like we come under 'Northampton' for booking the Registrar. I rang them today and the LATEST they can marry us is 3pm!!! That's a bit earlier than we would like, but they did say that 'big changes are coming to the way resources are allocated for weddings' and that we might be able to get a later slot when we ring back in a couple of months' time. We’ve been thinking about ‘Ushers’ and it’s always a difficult decision on WHO to choose. There’s the ‘should I offer it to a family member’ argument as well as the ‘are they going to be up to the job’. With all that in mind, we’re currently thinking of NOT having any - and having a ‘master of ceremonies’ instead! Ralph – any views on this? We took a drive up to Kelmarsh Hall today. They seem to be very accommodating and all our initial ideas seem to be 'do-able'. Plus, there is no service charge nor corkage for drinks. There seems to be plenty of rooms available and we've got exclusive use of the whole house. They are even going to reduce the price of the event because we don't need the evening reception package. The next stage is work out a more detailed list of requirements. After a lot of discussion and finding that most of the local hotels didn't have enough flexibility, we're going to contact Kelmarsh Hall, to see if they can accommodate our needs.